U.S. consumers are more willing than ever before to engage with digital solutions that will help them stay well, and this is an opportunity for Apple. Apple has been quietly gathering the pieces it needs to create a connected ecosystem for digital health. Apple isn’t alone in exploring opportunities in digital health, but it is the only company to offer a vast platform that already respects the data privacy required to support health solutions in almost every global jurisdiction. The company also offers a now tried-and-tested selection of solutions to support activity in the space, ranging from platform support for a dizzying array of digital health apps all the way to its own more complex platform/ecosystem support for things like health sensors, health records and in-depth health research projects across millions of users. Apple’s focus on the sector is serious, and it has spent plenty of time and energy analyzing the needs of the market, hiring key experts, and building up its platforms to support future innovation. If you think about it, its insistence that when it comes to personal data computing, analysis takes place at the edge of the network rather than through data analytic processes in the cloud, is proving to be absolutely the correct approach. You do not want your personal health data being hacked, stolen, or used as blackmail against you by any rogue agent who happens to break into your digital health cloud service provider’s IT infrastructure. The best way to ensure your own health records stay private is to anonymize them in transit, which is what Apple does. Apple’s hard work has also helped break down industry and public resistance to the use of – basically your smartphone – to help keep you well. Where we are today, a recent PwC survey claims an astonishing 77 percent of doctors have recommended an app or digital solution to their patients. August Rock Health last year claimed 86 percent of Americans used at least one digital health tool in 2017, while an earlier Accenture survey found that one-third of Americans are using wearable devices. More importantly, 54 percent of people in the U.S. are willing to use an FDA-approved app or device to help treat a medical condition, the PwC survey said. We’ve all heard multiple reports that the sensors inside Apple Watch have saved lives, and the company has pushed hard to make those stories proliferate with an Activity-related campaign to mark national Heart Month. Apple’s vice president for health, Stanford’s former executive director digital health, Sumbul Desai, has some background in remote primary care provision. The potential isn’t confined to self-care. Apple’s ResearchKit and CareKit solutions are enabling medical researchers to test apps and hardware/software combinations at a scale that’s never been easy to reach until the advent of mobile. These tools have helped medical teams build apps that are making a real difference to people’s lives – look at EpiWatch from John Hopkins University or the mPower app that is enabling the largest Parkinson’s study in history, for example. Then consider that innovative machine learning/image analysis applications such as Triton Sponge show how technology can potentially handle at least some routine diagnostics, freeing human doctors up to focus on patient care. Signify Research claims artificial intelligence (AI) in medical imaging will become a $2 billion market by 2023. Apple’s deep investment in digital health has already paid off when the company became one of the first to introduce a health-related feature under more relaxed (‘De Novo’) FDA regulations, which let some devices be approved for use on the basis of a company’s proven track record. Who do you think fits that particular description best? Which company already has a proven track record of quality, excellence, and a commitment to privacy and security that no other platform provider shares? 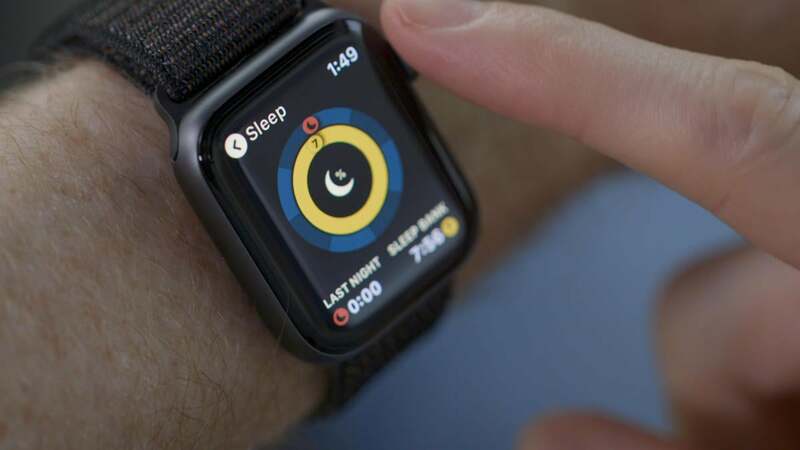 Apple has been quietly gathering the pieces it needs to create a connected ecosystem for digital health. With the public now more willing than ever to embrace digital solutions to support their health, it appears to be in a good position to evangelize its mHealth mission with products and services designed to monitor, manage, and diagnose medical conditions.